An opportunity for marketing agency transformation. In the midst of changing consumer behaviors, technology innovation and a growing demand for improved marketing measurement, there are unparalleled opportunities for emerging agencies and consultants to transform, disrupt and thrive. Since 2005, we have been building a new agency model focused on value-based pricing, technology, hybrid professionals, systemized processes and purpose because we believed that there was a better way. But, we don’t have all the answers. The Marketing Agency Insider community was built to stimulate a more open and collaborative agency ecosystem—one in which agencies share ideas, best practices and experiences to accelerate industry transformation. It helps entrepreneurs build their agencies and their futures. Together, we can disrupt and transform the industry. 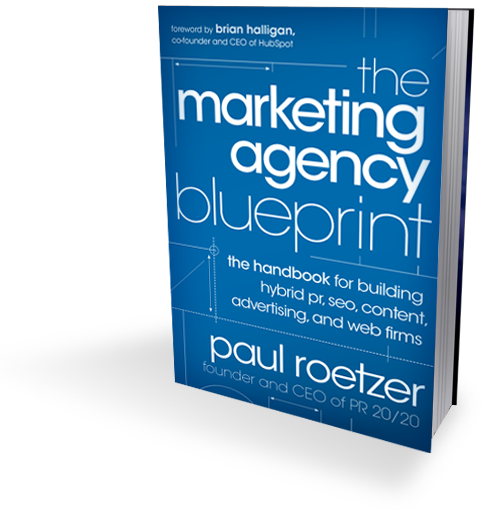 The handbook for building a hybrid-marketing firm. Marketing agency news and resources. The Marketing Agency Insider blog serves up a mix of original and curated content, industry news, interviews and case studies on the marketing services industry. Let it be your go-to resource, as you grow and manage your hybrid-marketing agency.